As a college student, the first couple weeks of December are consumed with finals, projects, and papers. Every year I end up camping out at a coffee shop, because I know I won’t get anything done in my apartment. I mean, there’s a TV there, and lots of things on my DVR list that need to be watched…so I’m easily distracted. Here’s a map of ten Austin area coffee shops/restaurants that stay open 24 hours or late into the night to give our Night Owls a place to plunge full force into preparing for the end of the semester. 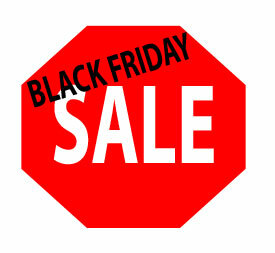 Black Friday, a shopaholic’s favorite holiday! It’s certainly one of my favorite days, besides my birthday and Christmas. 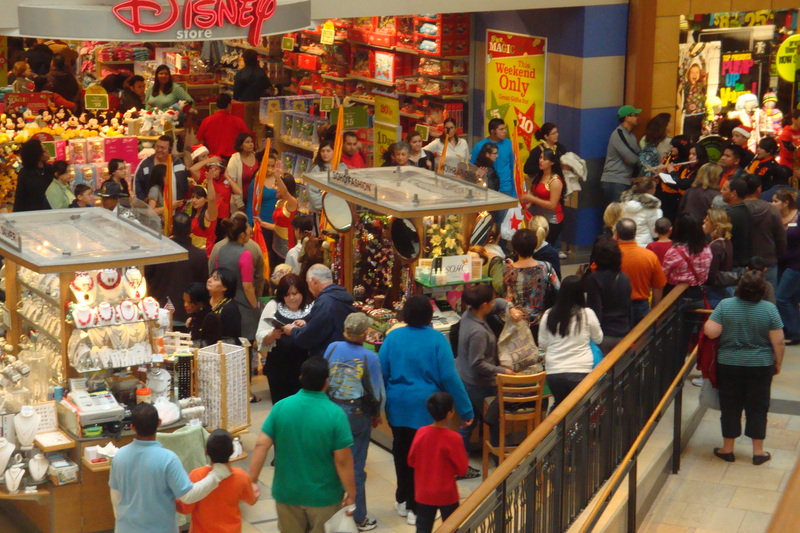 The day after Thanksgiving is the busiest shopping day in America. I spent Thanksgiving in San Antonio with family. It was great to be home. San Antonio has a lot of great shopping centers—North Star Mall, The Forum, The Shops at La Cantera, etc. The Tanger Outlet in San Marcos, which is only about 45 minutes north, also has great places to shop. Coupons arrived at my house a few days before the extravaganza of Black Friday. I was super excited to see all of my 30%-50% coupons be put to great use for the day. Most discounts for chain stores were highly publicized in the Thanksgiving newspaper edition. Online or at the mall, a shopper is bound to catch a great deal. But it’s nice to catch a few sales for the majority of Christmas gifts. I’m not a die-hard shopper who camps outside of the mall the night before; I’m more of a person who gets up at a reasonable time and shops. But I did go to sleep very early. We still had guests in our house, but I made sure I was going to get a good nights rests. My grandmother, “Mema,” and I were at the mall for about four hours. Time flew by, and the crowd had semi-died down by the time we arrived at North Star Mall. As we ate our lunch, Burbank High School Band, played a few hits for the shoppers. Watch the video below to see the band perform. The audio is off at the beginning but the band’s music toward the end, plays perfectly. 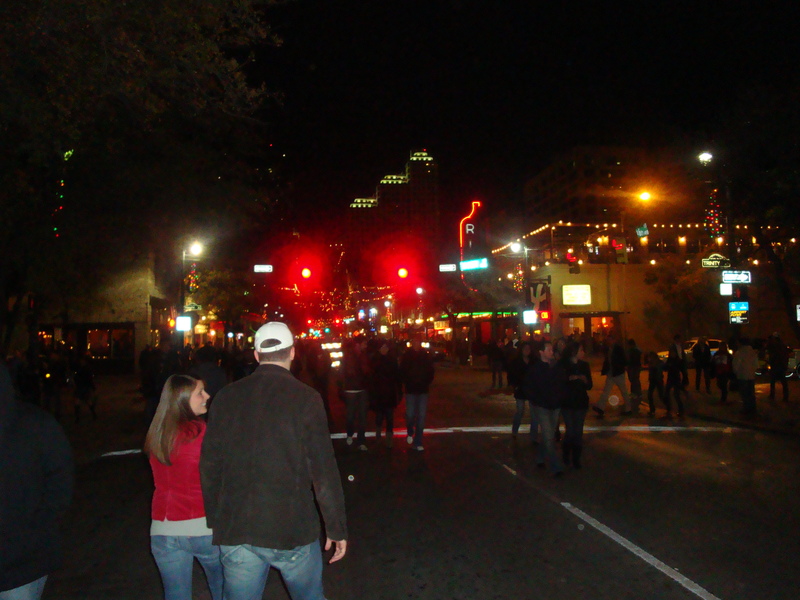 It’s very easy to think of topics to write about on a blog devoted to Austin night life, but when I go home to Podunk, USA (okay so Midland is far from Podunk, but it seems that way when contrasting night life to that in Austin) I can only think of three things to do. One is to go to the drive in movie theatre, and the other two I can’t even mention here. I’ve compiled a list of the best Thanksgiving Day drinking games to give you all a way to get wild on the holidays without even leaving home. They are sure to make the festivities memorable, even if you can’t the next day. If someone follows this up by saying, “It’ll be Christmas before you know it!” – TAKE A SHOT. If the host/hostess is playing holiday music in the background – TAKE TWO SHOTS, you’ll need them. Per food compliment (“great yams” “excellent stuffing” “fabulous turnips” etc…) TAKE A HALF SHOT. Depending on how many there are, TAKE A SHOT, per passed out guest on the sofa in the living room while football game is one – if pants are undone, TAKE A SHOT AND A HALF. If some one curses out someone else – TAKE A SHOT: If they are related: TAKE TWO SHOTS. Giada says ‘crisp’ or ‘light and delicious’. Alton says ‘brings flavor to the party’ or ‘wash those ____ hands!’. Emeril says ‘BAM!’, ‘kick it up a notch’ or ‘Yah, babe’. Rachael Ray says ‘EVOO’, ‘yummo’, ‘delish’, or ‘sammie’. Sara Moulton uses any form of the word “simple” or “simply”. 1. CBS and/or their announcers show off their incredibly lame Thanksgiving Game MVP trophy. 2. Any close-ups of celebrity “fans” that are in attendance at the game – who (as coincidence would have it) also happen to star in that network’s shows. BONUS: Everyone takes a second drink if the other announcer makes some lame comment designed to make us think he actually watches the show. 6. If the animated FOX football-playing robot shown before and after commercial breaks is dressed as a turkey, pilgrim or Indian, take 5 drinks. BONUS: FOX is running a contest to name this robot. The first guy in your group to actually attempt to come up with a name has to take 3 drinks. If the name he comes up with is something lame like “Robo-Back”, hit him with the bottle. 7. Any shot of a female fan holding a sign with a heart symbol and the words “Tony” or “Romo”. BONUS: If she’s hot, take 3 more drinks to drown your jealousy over all the incredible tail he gets. 8. If anybody in your group comments “That Tony Romo is good looking guy”, take a drink. If it is a guy who makes this comment, drink is preceded by a long, uncomfortable pause. If the word “cute” is used in place of “good looking”, drink until you throw up. 9. If an announcer makes a reference to Tony Romo and his celebrity hookups, drink. 10. If anyone makes a reference to NY Jets head coach Eric Mangini and his celebrity hookups, chug a whole bottle if this actually happens. 11. Someone watching with you asks, “Do the players get distracted by that yellow line on the field?”, drink, then throw your empty glass at them. 12. If anyone in your group snickers at, or makes a stupid comment about, the BJ on the back of the back judge’s uniform, make them chug. Note: The guy who made the comment also has to make the next beer run. 13. An announcer uses the word differential, as in “the touchdown differential between these two teams is huge.” It an unnecessarily big word to be used during a football game. 14. If there is a discussion about the Patriots going undefeated. BONUS: Chug while jogging around the coffee table if the term “run the table” is used. 15. An announcer mentions that Terrell Owens is “really trying to be a better teammate”. 16. Any comments on how tough the New York media is on any Jets player or member of the coaching staff. 17. If Phil Simms talks about his playing days with Bill Parcells, drink. 18. If Troy Aikman mentions any game he played on Thanksgiving, drink. 19. If a celebrity joins the announcers in the booth, take 3 drinks and hit the mute button. Unless the guest is Charles Barkley, then turn up the volume. 20. If the announcers incorrectly predict how a replay challenge will go, you lose a drink. If it’s Phil Simms and he is “positive” about his prediction – and he’s wrong, as usual – pour the bottle down the sink. 21. If announcers acknowledge the troops watching the games overseas, shout “USA” three times and do a shot. 22. If announcers discuss how Roger Goodell is cracking down on discipline, take a small sip. Quietly. 23. If there’s any mention of dog-fighting/Pacman Jones/steroid suspensions/Ricky Williams, pour a drink on the floor for your homies who couldn’t be here tonight. 24. Any shot of a player using smelling salts or oxygen, then it’s beer bong time. 25. If Peyton Manning throws his hands up in frustration, yell “Oh, come on!” and take a drink. 26. Any time the camera finds Brett Favre’s wife in the stands, or if the announcers mention her overcoming her illness and how Brett dealt with it, drink. If both happen at the same time, chug. 27. Any mention of Brett Favre’s career game right after his father passed away. 28. Any play made by a guy with long dreadlocks, shout “Yeah, Mon!” and chug a Red Stripe. 29. If announcers comment that Marion Barber runs “hard” or “tough”, do a shot of whiskey. If the term “smashmouth football” is uttered at any time, do two extra shots. 30. For every sideline/owner’s box shot of Jerry Jones, take a drink. BONUS: Do a spit take if it’s a tight shot on his face. 31. Anytime Jon Kitna removes his helmet, yell “Put it back on!”, chug whatever is left in your glass, and place the empty glass on your head. 32. If anyone dares mention of Detroit coach Joe Cullen going through the Wendy’s drive-through buck-naked, everyone watching must drop their pants, and drink. 33. For every mention about how nice and likeable Tony Dungy is, drink a wine cooler. 34. For every reference to Peyton Manning being smart, take a drink. 35. For every reference to Joey Harrington not being smart, pour the drink down the front of your shirt. 36. If a coach signals time-out right before a field goal attempt, drink. Then a second later, drink the exact same amount again. BONUS: If any announcer uses the phrase “icing the kicker”, pull a bottle of vodka out of the freezer and do a shot. 37. If the referee forgets to turn on his microphone during a penalty call and/or forgets to turn it off after he makes the call, drink from an empty glass. 38. If a coach halfheartedly tosses the red challenge flag and it doesn’t go more than five yards, everyone yells “Lame!” and chugs a malt beverage with their non-throwing hand. 39. Every time an interception is thrown by Joey Harrington or Byron Leftwich (should he get in the game). 40. Airing of any Peyton Manning commercial. 41. Any airing of the “This is Our Country” Chevy Silverado commercials. 42. Terrell Owens mugs for the camera and/or shakes his head in disbelief, amusement, or a show of pure unadulterated self love. 43. Any reference to Brett Favre’s age. 44. Any reference to Brett Favre playing like a kid again. Winner is determined by last guy able to stand after a full turkey dinner, 3 games and over nine hours of football. Every time someone unbuttons his/her pants, take a drink. Each time someone makes that uncomfortable “Unnnh” noise when they rise from a seated position, take a drink. Each time someone screams at the TV, take two drinks. Take two drinks for each person napping. Hope you all enjoy and please drink responsibly! Happy hour…the place where you can kick back and enjoy a beer from one of Austin Brew’s selections, or a simple cocktail. 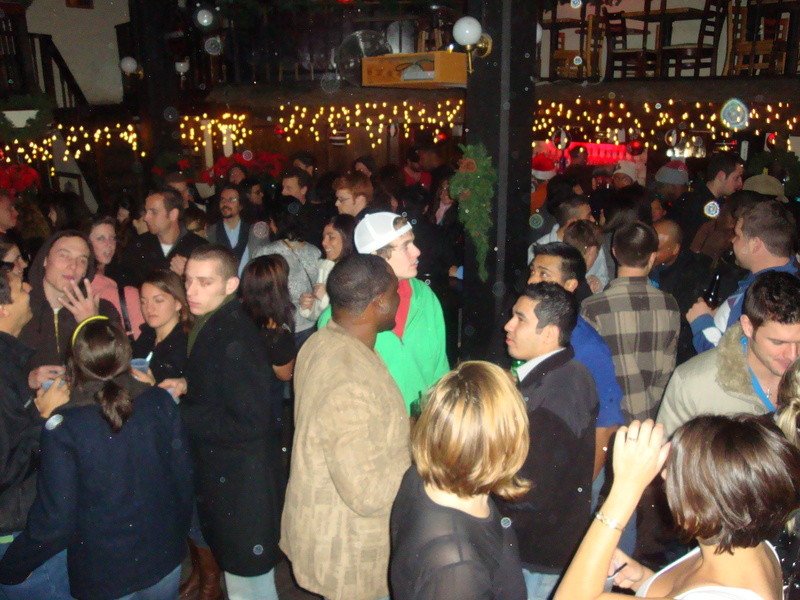 As an early pre-party Thanksgiving celebration, a few of my friends and I went downtown to McCormick & Schmick’s for their late night happy hour. Their usual happy hour last until 7pm, but their second happy hour is from 9-10 pm. This works out great for my schedule, since I’m a busy college student who works and goes to school. 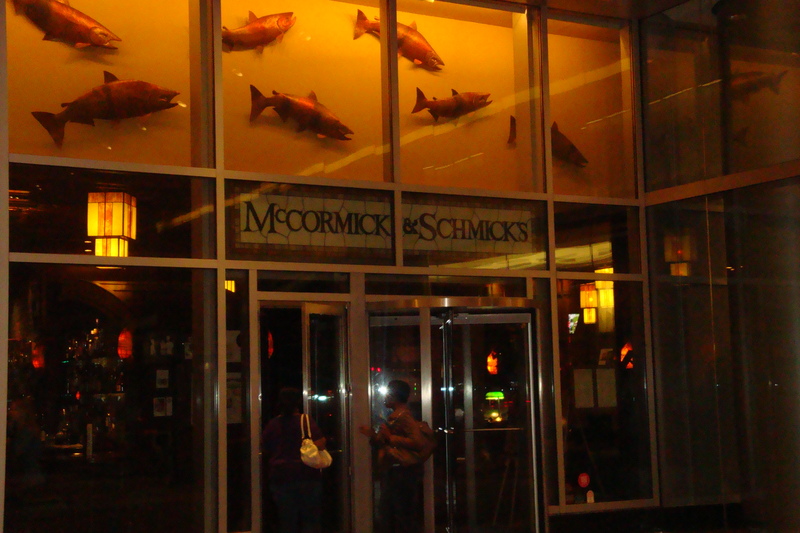 McCormick & Schmick’s offer great seafood dinner plates that cost about $20 during normal business hours. The place would be ideal for a nice romantic date. During happy hour, a few selected items cost $1.95-$4.95. Laura looking at the menu. I really enjoyed McCormicks, it’s affordable and good. Appetizers during happy hour are cheap. I was really hungry so I got calamari, buffalo quesadillas, and a Sangria. I’m usually a margarita type of girl but since they don’t offer frozen margaritas, I’d thought it would be nice to try a new cocktail. 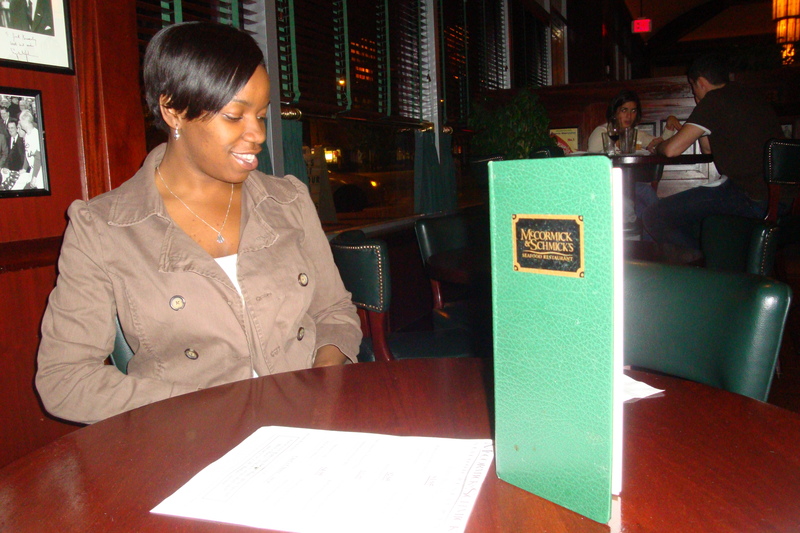 Graduating UT senior Fnan Gelai said she would go back to McCormick & Schmicks. 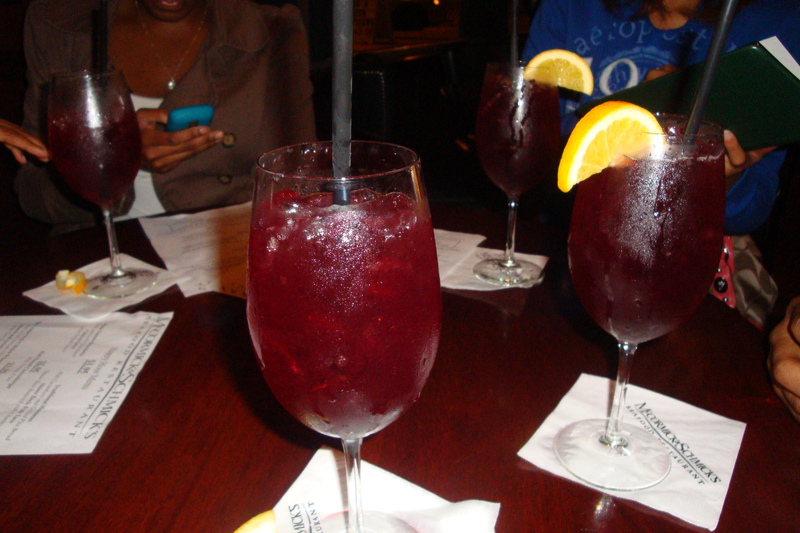 “I really like it a lot it’s a really good happy hour for college students. 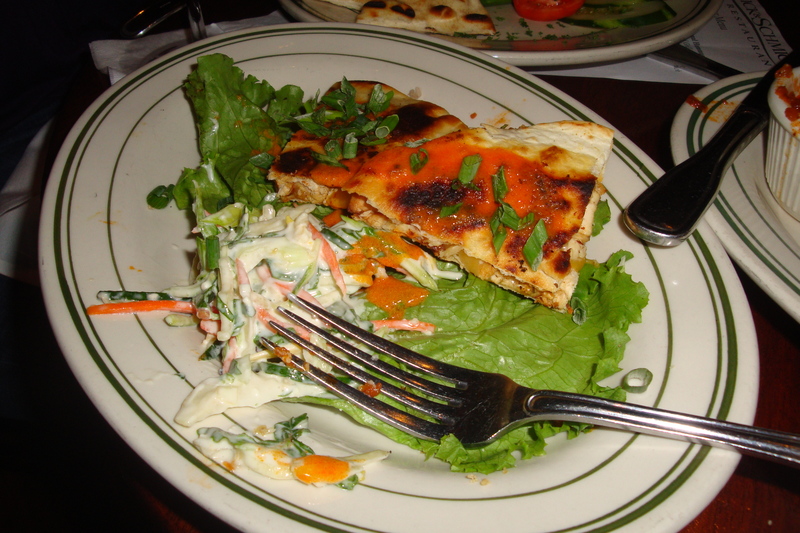 I think it’s very reasonable and the food was good…but they need to have frozen margaritas,”said Gelai. Overall, the night ended great. We are all so busy that it was great to meet up and unwind for girls night out. 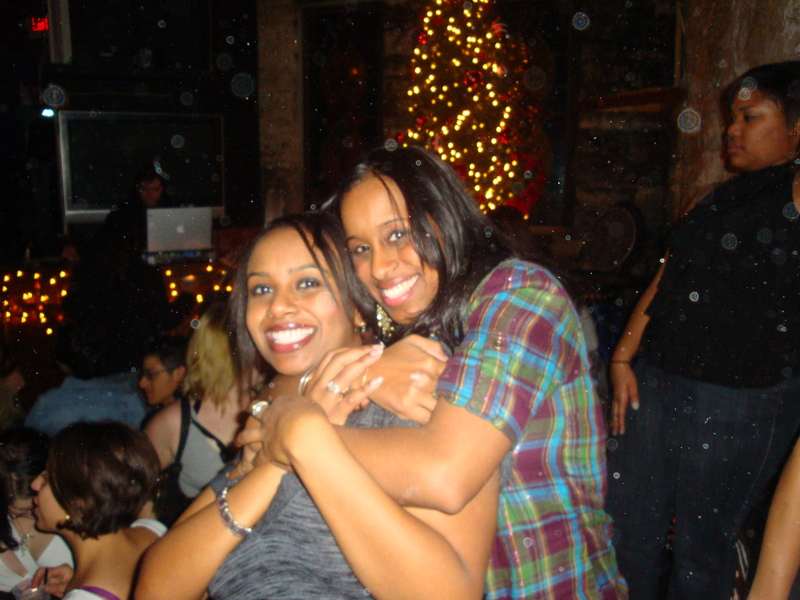 In a recent blog, I posted something about a new group karaoke smack-down that would be a fun place to go after work. That competition was exciting but tomorrow night will be the ultimate smack down of words and jazz hands. 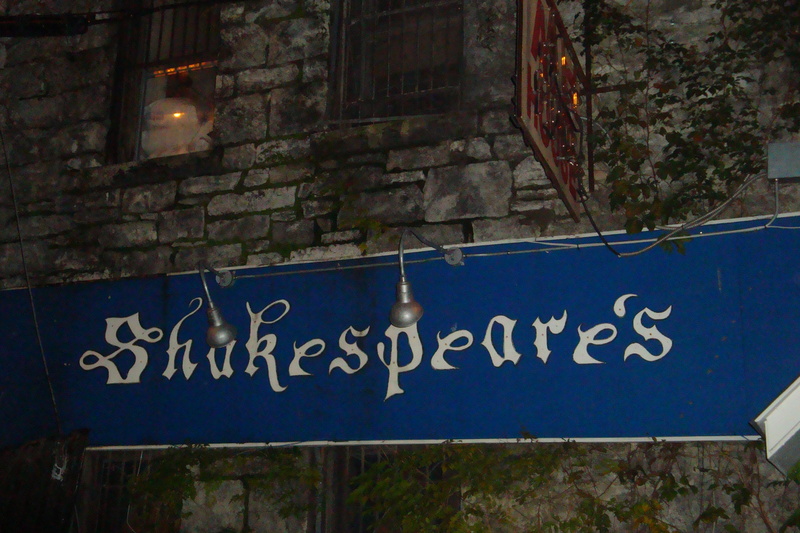 It’s the weekly Austin Poetry Slam, Vocal, and Dance Competition put on by O.P. M Entertainment. This is one of Central Texas’ premiere places to be for Thursday late-night cocktails and fun. There’s live entertainment, with everything from rhythmic dance moves to expressive poetry. All of this will surely awaken even sleep-deprived college students. Lyricists, dancers and singers from all around Austin are welcome to participate or just sit back and watch the show. Spoken word and dancing is every Thursday night at The Parish Room , located on 214 E. 6th St. After each poetry and dance battle, The Parish Room turns into a club playing the top Hip Hop and R&B music. 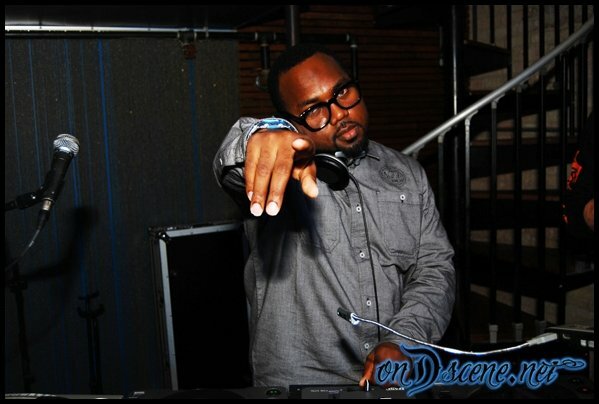 DJ Dontizl mixes the hottest music until 2 AM. 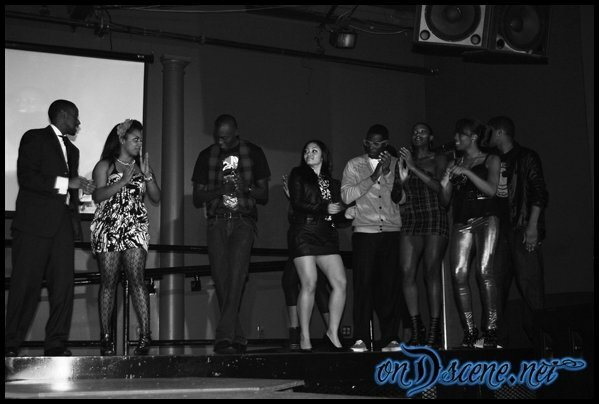 Creator of O.P.M Entertainment, Chas Moore, said “We bring you four events in one night. [It will be] hosted by two-time Austin Poetry Slam Champion, Christopher Michael.” I have to admit O.P.M events are pretty exciting. 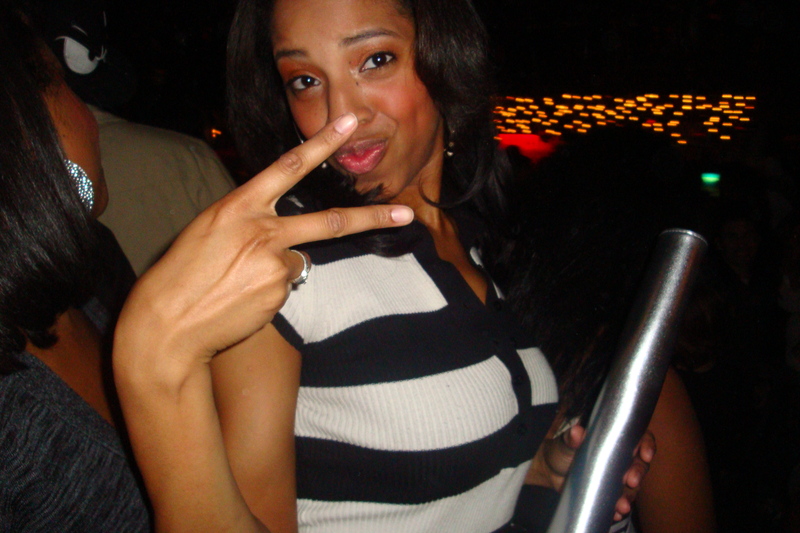 There last major event, besides the poetry competitions, was the Jay-Z concert after party. While there were several other parties for Jay-Z, many people who attended the one by O.P.M said it was one of the best. O.P.M. 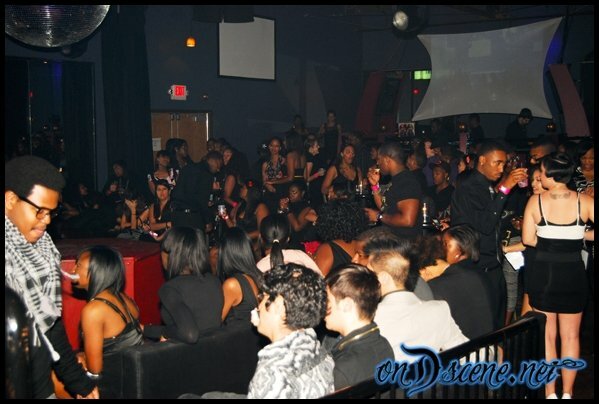 events are always pretty successful and every once in a while you’ll spot a Hip Hop celebrity at an event. Performances have the opportunity to possibly win $1000 in each of the three categories—poetry, dance, and singing. So if you think you have what it takes to impress Austinites with creative expressions, this might be a great competition to enter. But if you’re really good, the top acts compete in the The Showcase for a $5000 cash prize, later in the year. With all of our pastry posts, I thought it would be nice to help you expand your waistline with something different. Soul Food, the tasty artery-clogging treat for your soul! Hoover’s Cooking located at 2002 Manor Road (walking distance from The University of Texas campus ) has the “crème de la crème” in southern cooking. The owner, Hoover Alexander credits his success to his mother’s East Texas Cajun cooking. The menu has everything from fried chicken and mashed potatoes to muffuletas for vegetarians. Each plates cost between $10-13, but it’s worth it. They serve HUGE portion sizes, so you can take some of your leftovers home. My dad, whose 6’3 and 200+ pounds, had to take home a doggy bag because he was stuffed. Interview with Jessica, an employee at Hoover’s. What do u recommend for a vegetarian? This is definitely one of my favorite places to go, when I want to cheat on my diet. Bon Appetite!